Most people are hesitant to decorate a small bathroom. You may feel as though you are just going to clutter your bathroom or take up space that could be valuable. 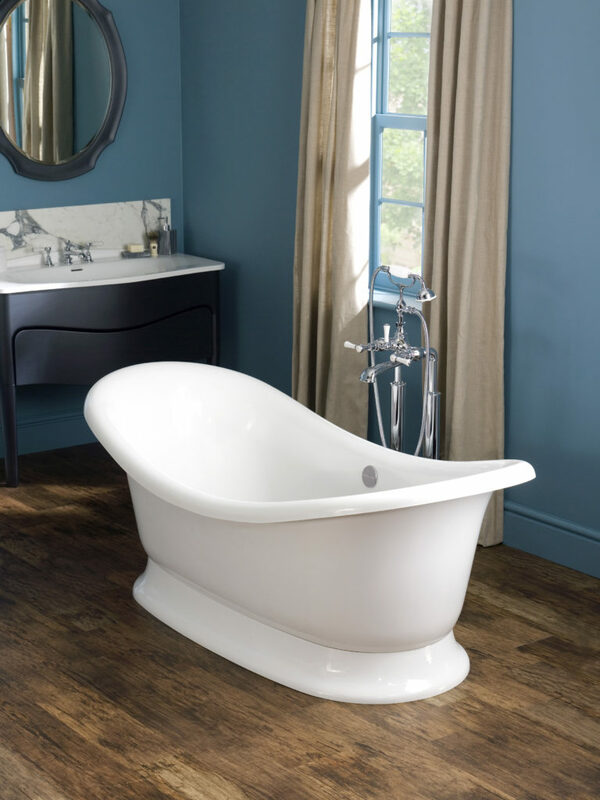 One has to think to themselves, a bathroom is a sanctuary, it is definitely the most important room in the house, you use it every day for health and hygiene, it needs to help you unwind and relax and order to do that you need a soothing atmosphere. All you need to do is utilize the space you have and be creative! When selecting your colours, go for lighter options and add bursts of colour with your decorative items and towels. This will assist with giving the impression of a larger space. –> A slim horizontal basin on top of a vanity that allows for storage beneath it. This way, your clutter is hidden and you have more foot space. –> Shelving is a great way for the eye to move upward generating an illusion of a larger room and is a great space-saving technique. –> Ensure that your colour palette is coordinated so that it does not feel overwhelming, yet creates the perfect flow in your bathroom. –> Floor patterns help open up a room but it can become expensive. A more budget-friendly route would be to use subway tiles with a darker grout. A mirror in a bathroom is an absolute necessity! Don’t just lean towards a small mirror above the vanity, have a horizontal mirror across the wall that allows more than one person to use it. It reflects all the light into your bathroom, making the surrounding space appear open and fresh. Organize and store all your toiletries away, in essence, it will leave you with unused space to decorate. Keep in mind your cabinet will be the focal point of your bathroom, do not over decorate it. A narrow, tall vanity would be best suited for a small bathroom. When looking at how to decorate, have a theme so that all items can complement one another. More items that could be hung on the wall will make your bathroom appear larger! Small bathrooms can be intimidating when looking to decorate, but with the right fixtures, textiles, colours and techniques we can strategically style your bathroom with ease! For more whispers of advice and tips come and pop into Simply Bathrooms, we will help guide you in creating your perfect little sanctuary.